Though certainly the world has many regions and cultures that don’t relish cheese, for many of us, cheese can give us a sense of place and culture. Here, I wax poetic about cheese. Cheese is often seen as an indulgent additive to other foods, the rich topping that enhances the main or side dish, or perhaps the haughty appetizer or dessert enjoyed by those who appreciate it, and not a meal staple in its own right. You might say that the idea of cheese as a meal is not unlike the idea of buying expensive artwork to furnish a home while leaving the floors bare of furniture. But I would argue that cheese as a meal has merit – nutritional value even. If I was stranded on a deserted island and could have four foods/beverages (but only 4), I would choose bread, cheese, chocolate, and wine. For someone focused on health and nutrition, those seem anything but sustenance. While in “real life”, I’m not about to cut out vegetables and fruits (among other foodstuffs), I would argue that if the quality is good enough (stone-ground flour, milk from pastured, grass-fed cows, real cacao, for example), then one could live pretty well on those alone. The antioxidant properties of dark chocolate and red wine are well-known, as are the fiber, minerals, and complex carbohydrates in whole-grain bread. But what about cheese? And why am I – or Western society – so drawn to it? The diverse, not so subtle range of flavors of cheeses reflects the traditions and terroir (French term for the unique characteristics of a particular place or soil) of the places and people that create them. Whether from cow, goat, sheep, or other animal; whether mild, fresh, sharp, nutty, salty, sweet, pungent, tangy, firm, soft, young, aged, or a combination of several of these flavors and odors, it is pretty amazing how cheese can taste so varied. A good, or even supremely bad, cheese is memorable. Cheese is polarizing, often an acquired taste. Can’t all of us (non-vegans) remember at least once when a cheese completely made a dish, or conversely, when we encountered one so foul that we could barely choke it down? Personally, my own memories of my experiences with cheese can be seen as formative and transformative, much like the process of maturity. As a very picky eater, my first cheeses were cottage cheese and cheddar cheese. As I became more aware of taste and texture, I realized that I liked the more mild cottage cheese, but I didn’t care for sharp cheddar. Swiss was too bland (not salty enough) and bitter; muenster was ok but over killed (I still can’t eat it to this day). Discovering processed American cheese was, like, the best thing ever to a picky five year old. My mother tried to keep me away from Kraft singles, compromising only with fresh American cheese sliced at the deli counter. Looking back, I should have been thanking my mom, but I only wanted the fake stuff. Seriously? The metallic, salty, rubbery slices encased in plastic wrap were better? Clearly, industrial food production was spot on. Kraft couldn’t have hoped for a better customer (if only I’d been the one buying the groceries!). A few years later, I remember being about 10 and watching my teenaged cousins raving as they ate Brie at Christmas. My younger sister, always game for anything, tried it and was ok with it. But the odor repelled me, and I was too stubborn to try it. Provolone was about as exciting as my cheese preferences went. Fast forward a few years more, and suddenly Brie was a savored treat; I embraced the tangy mold of Gorgonzola (awesome on steak or salad); feta and Boursin were tasty. And finally, these days, I am hard-pressed to meet a cheese I flatly don’t like (except muenster and sharp American cheddar). Through people and my travels, I revel in a good cheese (especially with wine), whether it is an integrated component of a dish or eaten alone in its own right. As odd as it might seem, I enjoy the earthy taste of a soft, ripe French [read: stinky] cheese grass upon which the cow grazed. While not everyone is this enthusiastic about stinky cheese, many of you can relate to the wonderful flavor experiences and memories cheese creates. 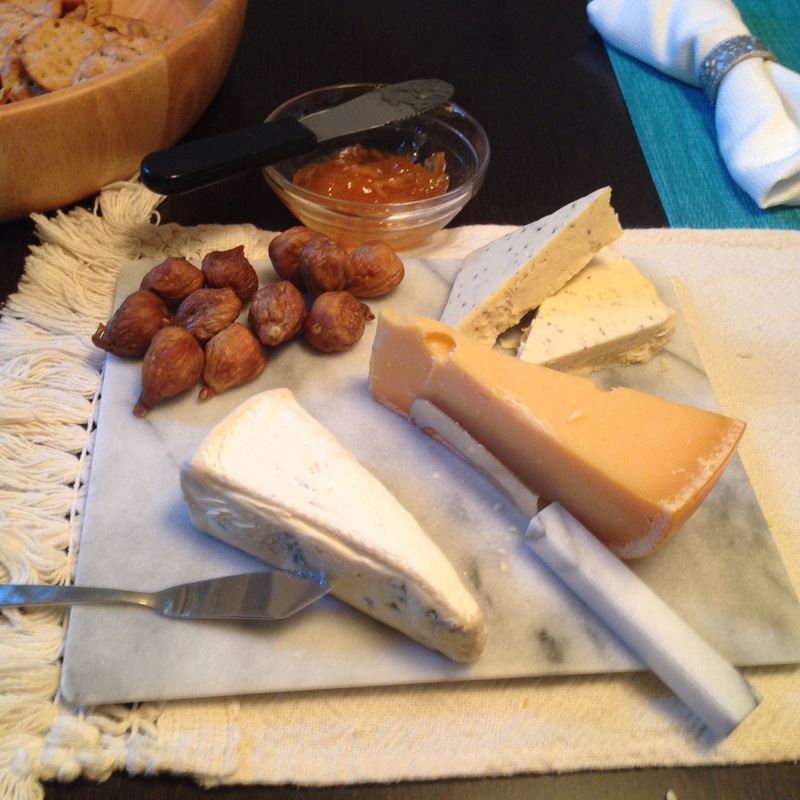 So cheese is an indulgence to be savored sparingly and with guilt…or is it? Next time in the CD, we discuss some of the lesser-known potential health benefits of cheese and other “live” foods. Next Post Rethinking the nutritional value of cheese: Is it really so bad?